As you may have noticed I haven't done as many reviews for this month as I'd like to. Tonight being no different. The reason for this is that I have two assignments left in my module and I'm really pushing to get these finished before they are due, which means there is less time to read than I would have liked. Fingers crossed in the next few days I'll be back on top of things, which will include reviews to be posted since my review book pile isn't getting any smaller. Hope you all understand and I'll do my best to get some reviews up in the next week. The answer to this one for me would definitely buy! It also depends on how quick I want the book as to where I go shopping for them. For instance, if I don't mind waiting a week to two I'd look at Book Depository. The shipping is free and it's awesome for saving money on pre-orders. Booksamillion is another fantastic shop but being in Australia the shipping is a bit more expensive. I think the last time I bought a book I paid for the most expensive which was like $30 or something like that for shipping but true to their word, four days later I had my book. So that was pretty cool! Booktopia is pretty good for buying bulk load of books. The prices for the books are pretty good and Australia wide for up to 100 books it's only $6 or so dollars for shipping. The only downfall with this one is the time it takes. If it's not urgent, then go for it but sometimes I've had to wait a few weeks because they've had to get the book in from either overseas or publishers. There are some better options out there if you don't want to wait. 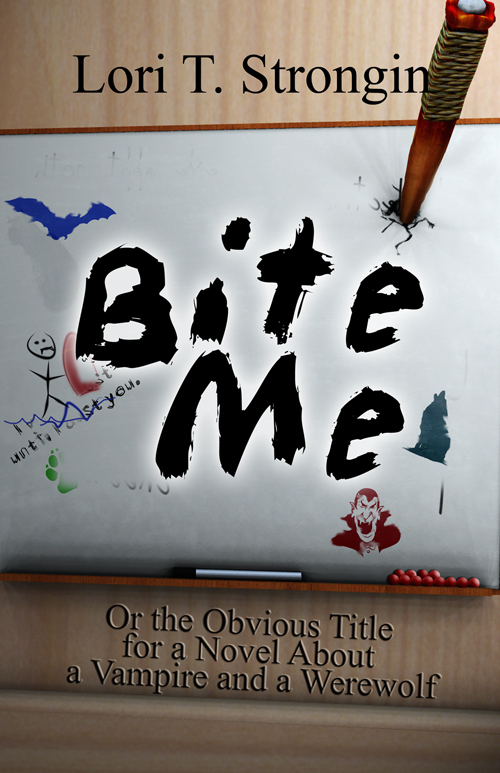 Bite Me by Lori T Strongin is scheduled to be released 30th January so keep your eyes open. 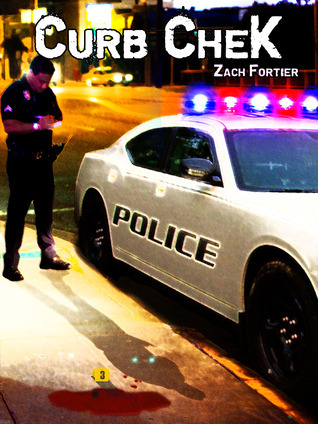 The Kindle version of Curb Chek by Zah Fortier will be free for this week at the Kindle store at Amazon. Don't miss out on this great offer! Check out Amazon now! 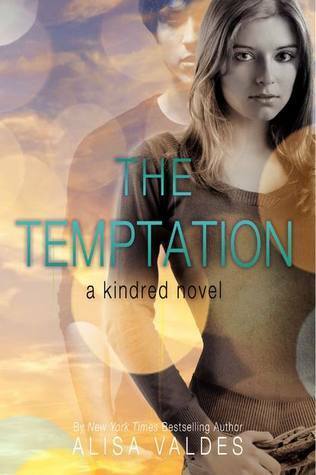 I've picked The Temptation by Alisa Valdes the first book in the Kindred series. 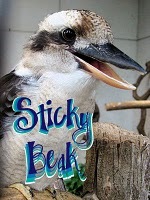 This book won't be out until the 24th April 2012 but I definitely can't wait! supernatural thriller, this first book in the Kindred trilogy will leave readers lusting for more! Pre-order The Temptation at Book Depository now! Thanks to the Courier Mail I've been introduced to two new bookstores in the Great South East. Avid Readers and Riverbend Books and Teahouse. You can find Avid Readers (who also happens to have an author by the name of Trent Jamieson working there!!) at 193 Boundary Street, West End, Qld - or visit them here. I didn't get a chance to go into this one though since by the time I got to West End it was full of both car and foot traffic. So I decided to give this one a miss since dragging the little one on foot seemed was going to be impossible. You can find this one at 193 Oxford Street, Bulimba. It was so much easier for parking too. I really enjoyed the atmosphere and the staff were lovely. Especially when a certain child who I won't name *Cough*, was throwing a tantrum and I was ready to exchange him for a book and do a runner lol. The lady gave him a sticker and we were on our way. It isn't a very large bookstore so if you have children that tend to play up when you're out. Leave them at home. You can check out there website here! I'd recommend Clockwork Angel by Cassandra Clare and The Hunger Games by Suzanne Collins. I was a late comer to both books and wish that I hadn't waited so long to read these. Another book I'm thoroughly enjoying but haven't finished yet is Silverbirch by Rob Kaay and while I'm still reading so far I've enjoyed this immensely. Seventh Star Press proudly announces the reissues of the first two books in The Brotherhood of Dwarves series, The Brotherhood of Dwarves, and Red Sky at Dawn. To commemmorate the Seventh Star Press editions of these two titles, the publisher is offering special bundles that combine both the print and eBook versions of the books. Readers can get the first two books in this fashion, or a bundle of all three books in the series including the recently-released third title, The Fall of Dorkhun. The Brotherhood of Dwarves and Red Sky at Dawn feature covers and illustrations from fantasy artist Bonnie Wasson. The latest artist to work with Seventh Star Press, Bonnie created and designed a new look for the first two titles that is consistent with the brand new third release. The first two books were originally self-published by D.A. Adams and edited by Sherrie Shuler. 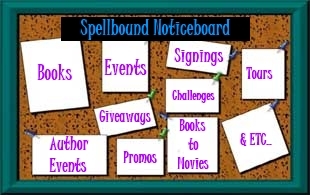 They became strong sellers on the convention circuit and received a wave of positive reviews. The reissues were planned when D.A. came aboard Seventh Star Press for the release of his latest installment, The Fall of Dorkhun. Living and working in East Tennessee, D. A. Adams is an established novelist, a farmer, and professor of English. He has contributed writing to literary and fine art publications, and maintains an active blog, entitled "The Ramblings of D. A. Adams". Softcover and eBook formats will be available by mid-February, with a collectors' hardcover limited editions planned for mid-summer of 2012. 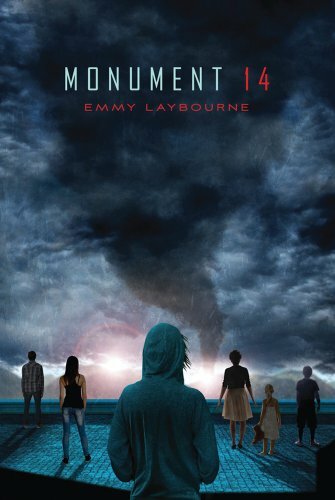 This week's pick is Monument 14 by Emmy Laybourne. This will be released on the 5th June 2012. This one sounds pretty awesome and for some reason I keep thinking of Stephen King's movie The Mist when I read the synopsis. Weird! A huge store isn’t the worst place to be stranded. There’s food and water, bedding and books. But what if it’s not safe to leave? Emmy Laybourne had us from the get-go with her utterly fresh and fast-paced debut. Pre-order Monument 14 at Book Depository! Thank you both to Jeremy and Penguin for sending these to me! Between The Lines: Black Dawn by Rachel Caine extract. Book 12 in the Morganville Vampire Series. Check it out!! Kalyn's Kitchen: Egg Muffins. I'm not much of a cook but I tried these out and they are awesome! Novel Novice: Great list of Most Anticipated 2012 reads. 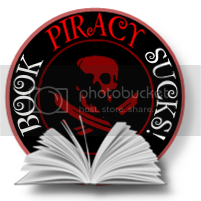 All Things Urban Fantasy: Why they do not accept Self Pub books. Interesting Post. Just a small one this week! 2012 Must Reads: Which books are at the top of your list to be read this year (new or old releases)? Well it's hard to say since I've read the top ones I've been meaning to read all last year. Clockwork Angel and Clockwork Prince by Cassandra Clare were two. These were amazing books, something I was even quite surprised I loved so much. 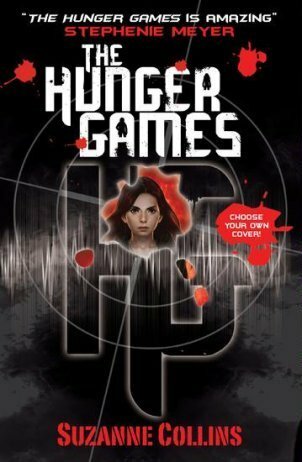 The Hunger Games, Catching Fire and Mockingjay by Suzanne Collins were the other lot that were right at the top to read. In the last two days I've read the first two, devoured them really. 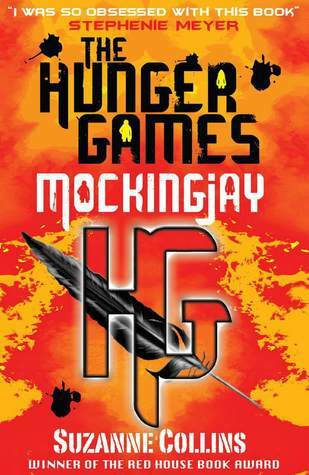 I'm now up to Mockingjay which I ended up buying the epub edition since I couldn't get to the shop this afternoon. That's how much I NEEDED to read this! lol. 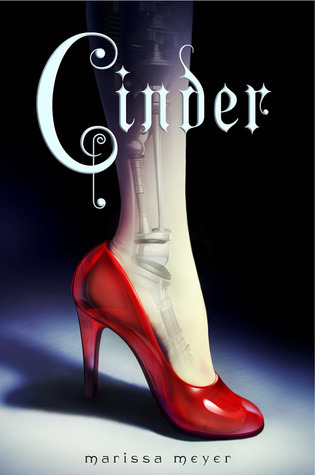 The other series will be The Mortal Instruments by Cassandra Clare which I'm hoping to get to in the next month. 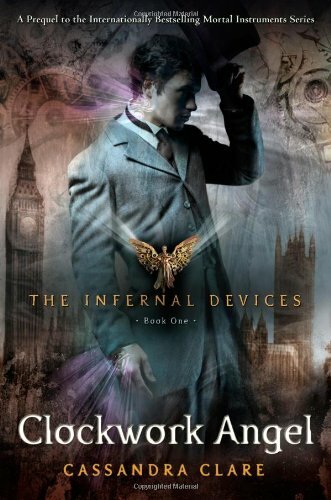 Since I loved Clockwork Angel and Prince I'm sure I will like this as well! Apart from that, most of my TBR that have sat on the shelves from last year will be high on the list to read. That and of course the fantastic review copies that have been coming in. GFC Is going... so what now? This week's pick is called Something Strange and Deadly by Susan Dennard and will be released on the 24th July 2012. This sounds awesome! 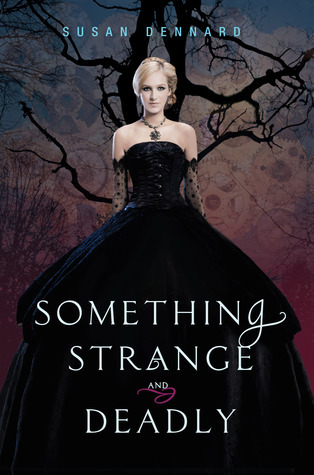 Pre-order Something Strange and Deadly at Book Depository. So.. many of us will have noticed that Google is taking Google Friends Connect off Blogger in March. It's a bit of a pain really because what now? 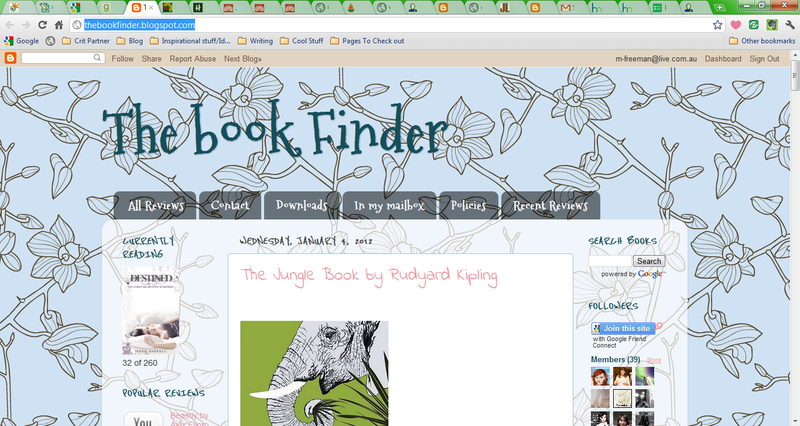 I haven't had a look around yet but what else would we use to keep our Google Readers up to date. Do you guys have any ideas which are the best options for this? Thanks to the follower who brought this question up. Best to get things organized now right? And what is Google +? What's in your IMM this week? Loved these books. Not sure how I feel about the book trailers. What do you think? I guess my main reading goals this year are to outdo last years which was 100 books read. Goodreads is a brilliant website for keeping track of it too. So I decided to aim it at 120 and see how I go. Fingers crossed ;) My other goal is to knock my own TBR pile down by at least a third which is like 30 or so books last time I checked. What are some of your reading goals for the new year? Seventh Star Press is proud to announce a call for submissions for an exciting new anthology to be edited by Joshua Leet, entitled The End Was Not the End: Post-Apocalyptic Fantasy Tales. The stories can be up to 10,000 words in length, and must be set within a setting ranging between ancient worlds, like the Sword and Sorcery Hyborean Age of Robert E. Howard, to medieval settings like those found in many epic fantasy series. Timed appropriately for 2012, the anthology will focus on the aftermath of an apocalypse. The stories can have any style or feature any Earth culture-inspired background, such as the more commonly encountered european-based knights and wizards, to Viking sagas, Russian folklore, Chinese wuxia, Japanese samurai, and Native American environments, just to name a few. The apocalypse itself can be whatever suits the writer, be it magical catastrophe, plague, monster horde, the death of gods, etc. It can include modern catastrophes that precipitated regression in technological level to a medieval or ancient world type level. The stories should have a serious overall tone, and can range from action-driven to tales with a darker edge. The concept for the anthology was first pitched by Seventh Star Press author Stephen Zimmer, who writes the Fires in Eden series (epic fantasy) and the Rising Dawn Saga (epic-scale urban fantasy). Joshua Leet expressed a desire to serve as the editor of Seventh Star Press' first anthology project, and worked with Stephen to solidfy the project concept. The project represents Stephen's first as a commissioning editor. 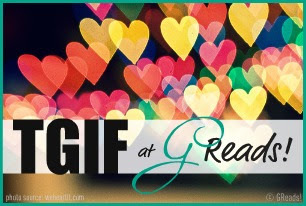 Joshua is currently serving as the editor for Sela, the forthcoming second book in the Leland Dragon Series by Jackie Gamber, as well as the newest Gorias La Gaul adventure from Steven Shrewsbury, titled Overkill. Joshua is not only an editor, but is also an author, whose credits include the recently released historical work Civil War Lexington, Kentucky: Bluegrass Breeding Ground of Power, co-authored with Karen Leet, as well as business projects such as two volumes he co-authored in the Compliance and Ethics field. Joshua's love for the fantasy genre and range of technical literary expertise promises to bring forth a debut anthology of outstanding quality for Seventh Star Press. The agreement on accepted stories will be for first print and digital rights, with exclusivity for one year from date of publication. 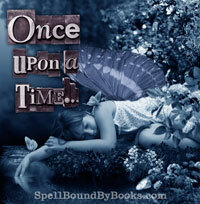 After this time, authors are free to re-sell their stories in other markets. The stories need to be original works, and no previously published characters or properties will be accepted. 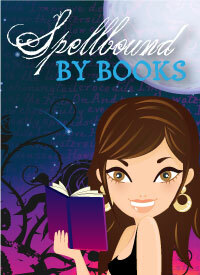 The anthology is planned for release in eBook, limited hardcover, and softcover formats in the 4th quarter of 2012. A royalty pool will be generated on print and eBook sales, at a rate of 10% royalties for print, and a rate of 50% royalties for eBooks, with each included story having an equal share of the royalty pool. Royalty statements and payments will be made biannually. All included authors will receive a complimentary trade paperback copy of the anthology. 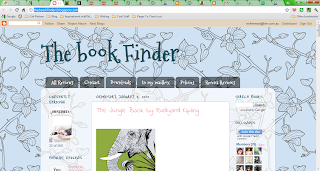 Check out Dani's new blog called The Book Finder!